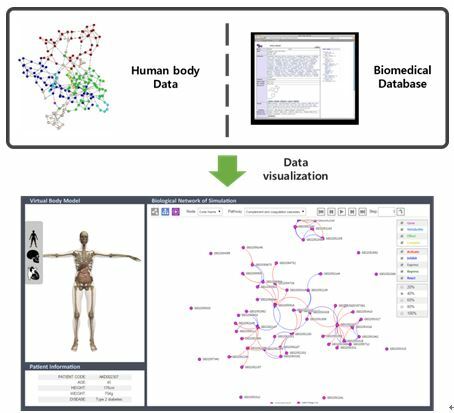 Network Bioinformatics team is developing virtual physiological human systems that can be utilized in interpreting traditional medicine or natural compound efficacy and analyzing activation mechanisms based on computational approaches. 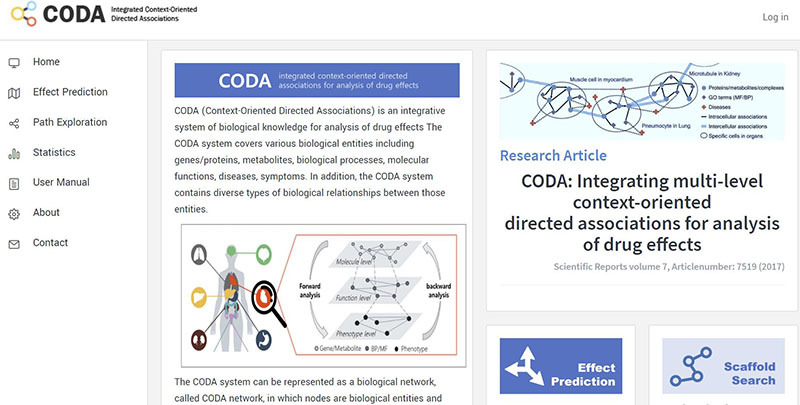 To achieve these goals, we collect and integrate various types of biological data set encompassing protein-protein interaction networks, metabolic networks, gene regulatory networks and diverse over molecule interactions with their context information. From the integrated data, we develop a generic virtual physiological human system. With the application of simulation and inference techniques to our constructed system, we study the efficacy, side effects, and mechanisms of natural compounds and combination drugs for the treatment of diseases. For most diseases, the single drug, single target model has limitation in many aspects. Furthermore, it is now evident that multi-component drugs or multi-targeting drugs, work synergistically to potentiate therapeutic effects of multiple targets and signaling pathways. Synergistic action of such drugs may overcome side effects that resulted from high doses of single-target drugs, increase drug selectivity, and offer an opportunity for more precise control of biological systems. In fact, in diverse therapies based on coordinated actions of multiple compounds have been invaluable sources of drug discovery and development. 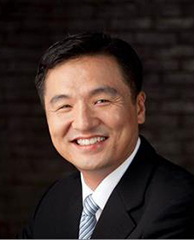 Thus, we designed and constructed the integrated database, which contains traditional herbal medicine, functional food, and up-to-date molecular drug/target information. 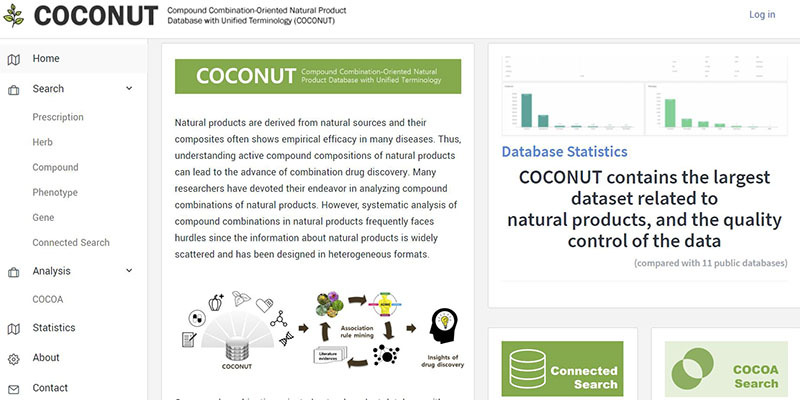 Moreover we provide a search engine which makes it possible to infer compound combinations with clinical effects by applying data mining processes. Biological system is very complex because various biomolecules and a lot of interactions are involved in the system. There are various types of biological interactions in our human body system. To understand whole biological systems properly, many types of biological interactions must be integrated and analyzed comprehensively. In this situation, we study method for the effective visualization of biological interaction data to handle and analyze the large biological systems easily.